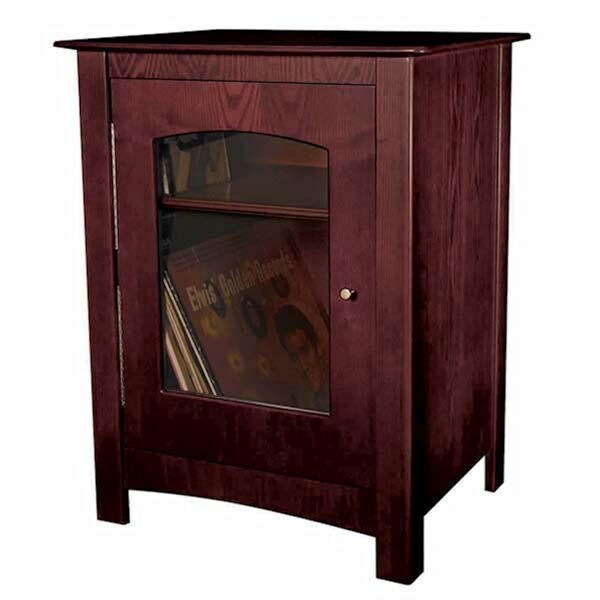 Floor cabinet for Crosley Turntable with CD Burner holds up to 190 traditional LPs as well as 60 CDs. Hardwood and veneers with glass door. 25 1/4"H x 19 3/4"W x 16"D. No rush delivery or gift box. Additional delivery charge. Some assembly required. Please allow 2-4 weeks for delivery. Delivery to the United States only -- no International deliveries. Item can only be shipped within the Continental US. Extra shipping charges for this item: $6.95.